MC23 This is such an emotional album, awesome. Favorite track: Watching The Storm. Caleb Bratcher U137 manages to make music that flows exactly the way you want and expect it too, which provides a powerful listening experience that you just can't help but feel moved by Favorite track: Midsummer Field. elesdeno Upbeat and calming at the same time ! :) Favorite track: The Poet. From cinematic post-rock passages to catchy indie rock interludes, the ten track instrumental debut Dreamer On The Run from Swedish post-rock duo U137 (including members of post-rock foursome Moonlit Sailor) offers a unique combination of sounds glowing with a fresh energy, diversity and originality. Dreamer is the kind of album you listen to over and over again, finding something new to savor each time you listen. This chorus and crescendo here. That arc and arpeggio there. Two words sum it up: Pearl Lakes. Now that, my friends, is epic songwriting. No, wait: The Poet. Or maybe: Midsummer Field. It's all so good. The beautiful melodies and arrangements found on Dreamer are quite skillful and complex despite the seeming simplicity and familiarity of the songs themselves. With the aim of generating a feeling of pure euphoria in the listener, succeed it does...on every plane. U137 is Scandinavian artistry at the highest level. "Oscar and I have been writing music since we were about twelve years old and we're still inspired to make music every single day. What inspires us is the thought of making THE perfect song, a timeless masterpiece of sorts. Dreamer is about as personal as an album gets. We wrote the music while living together directly after we had both ended long-term relationships. We shared the same vision about the album...to make our listeners feel inspired. Our goal was to create music as euphoric as possible. The album title refers to those 'dreamers' among us who are 'on the run' from an ordinary, often boring, existence. We wanted to have an album cover that was clean, allowing the music to speak for itself. We named the band after the Soviet submarine which ran aground in Swedish waters during the Cold War" says Adam Tornblad. U137 is Adam Tornblad (guitar, bass, drums, piano, strings) and Oscar Gulbrandsen (guitar, bass, piano, strings). Both Adam and Oscar are also members of Deep Elm label mates Moonlit Sailor whose acclaimed releases include "Colors In Stereo" (2012), "So Close To Life" (2009) and "A Footprint Of Feelings" (2008). 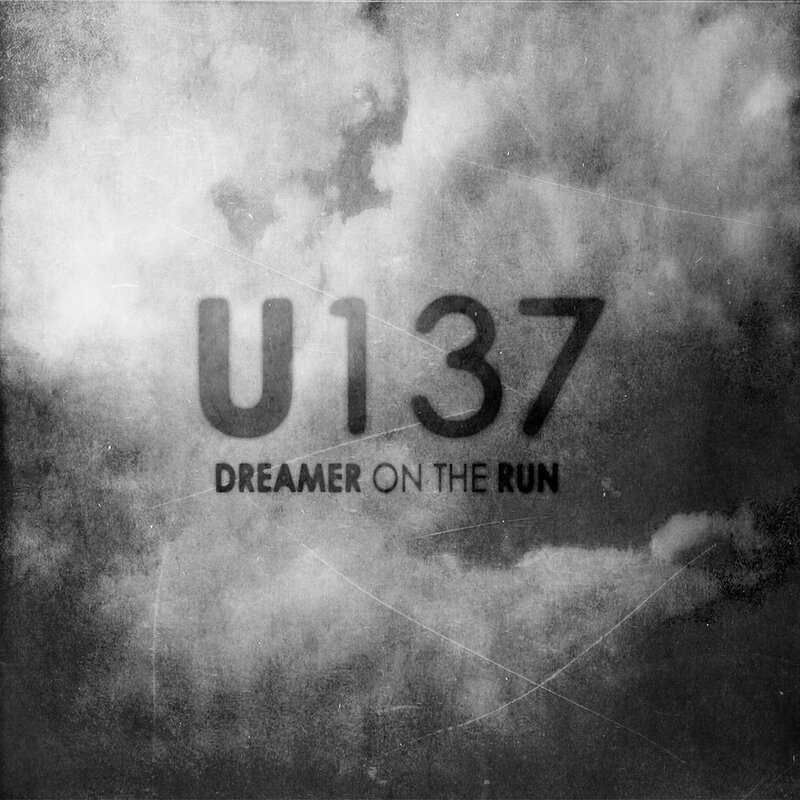 Dreamer On The Run was produced, recorded, mixed and mastered by U137 at HAV Music Studio in Boras, Sweden from February to June of 2013. Cover artwork by U137. Photo by Kristoffer Midborn. The band resides in Boras, Sweden where they often experience weeks without sunlight.